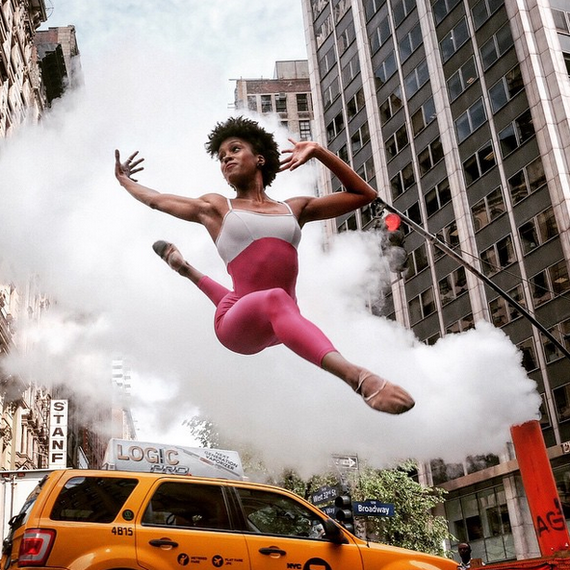 If you are on Instagram, chances are you may have come across the amazing visuals from New York based photographer Omar Robles. After his recent trip to Puerto Rico, I caught up with Omar to bring you some of his iconic images and to find out more about this talented individual. Tell me about yourself, where are you from and what is your daily routine if you have one? Born and raised in Puerto Rico, I have been living in the mainland US for about 4 years now, first in Chicago now in NYC for the last two years. My background is in mime theatre, I graduated in 2004 from L'École Internationale de Mimodrame de Paris Marcel Marceau in France and later in 2007 I got my degree in Communications and Visual Arts in Puerto Rico. I started working as a professional photographer since 2007 as a photojournalist. In terms of daily routine I have a pretty busy shooting schedule, I'm currently shooting dancers at least three times a week. When I'm not shooting, I'm looking for new people to shoot with. 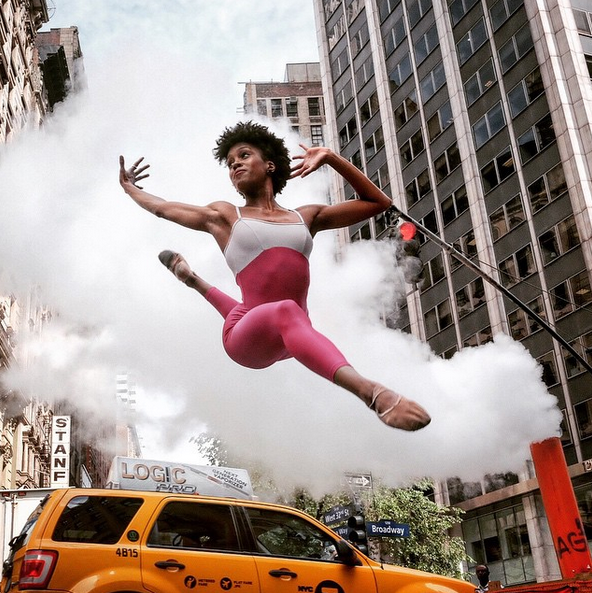 Your style of photography is so progressive and different, have you always taken photos of dance and action shots? Movement and physical expression have always been a part of me. As far as movement as a photographic subject I first photographed a parkour community for about 1.5years while I was living in Chicago. Coming to NYC I started working with dancers. First dancer I shot in NYC was Claudia Zakrzewski, after shooting with her and some of her friends, it sort of snowballed into shooting more and more local talent. When finding locations, do you plan ahead or just go with the flow? I mostly go with the flow, and it's very instinctive. I meet up with a dancer at a certain spot and discover things as we walk. Sometimes is about the lighting, other about the lines...and so on. Which one of your images stands out the most to you and why? It's hard to pick one particular image. I really invest myself into all of my work and every single image has a personal connection to me. I noticed a shot of yours with Bill Cunningham in the background, as a famous New York Street photographer, has his or any other photographers work influenced you? Indeed, initially my instagram portfolio was 65% street photography. In terms of aesthetic I think it has definitely influenced how I photograph dancers and the spaces I use. I believe my photographs usually reflect the rawness of a street or documentary photograph combined with the grace and poise of the dancers. Brassaï and Cartier Bresson have always been some of my all time favorites as well as Richard Avedon, Arnold Newman & Margaret Bourke-White. New York being a busy city, you must have come across some problems when shooting, what are some usual problems that occur? I don't like to get much into negative aspects but things do happen. For the most part I just try to keep a relaxed and positive attitude to help ease out the stress of the city. If I stay calm I'm most likely going to be more productive. Although New York is such a great place for you to shoot your breathtaking imagery, is there anywhere else in the world you would like to shoot? Do you have a preferred place to shoot? I would like to shoot in as many places life will take me to. I've recently shot dancers in Guatemala and Puerto Rico. Cuba and India come to mind as well as Paris, hopefully soon. Your recent trip to Puerto Rico looked amazing, can you show me any images from that trip? With your images being of inspiring subjects, where else do you get your inspiration from? I find most of my inspiration within movement, light and the human element. We tend to undermine ourselves in the midst of everything that surrounds us, but the truth is that in spite of all our flaws, we are and endless source of amazement. The reason why I photograph dancers is mainly because I'm constantly in awe of what the human body. For other photographers thinking about following in your footsteps, do you have any knowledge or information that could help them? Best advice I can give any new photographer/artist is to be patient and keep going at it. Try to find your own path. Don't follow trends in the hopes of feeding off of an existing audience. Find things that speak to you on a personal level and let those things find you as well. It will take time and effort, but if you are patient and stay in the race, it will find you sooner than later...just keep at it. The future is always uncertain, I can only control my present and that is too keep doing what I love, as much as I can. You can check out more of Omar's work on Instagram & his website in the links below.